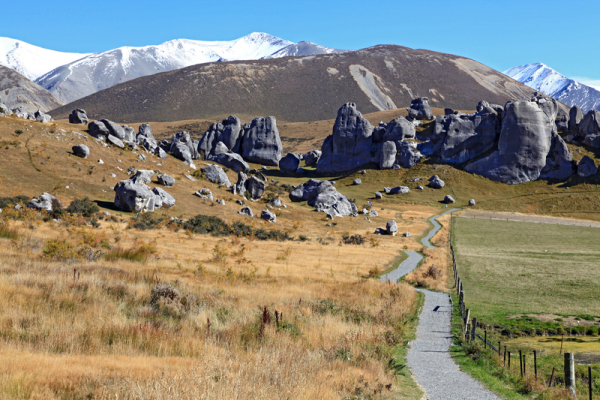 Christchurch is a beautiful way to experience New Zealand with children and explore one of the most beautiful parts of the world as a family. Described as “the Garden City” and “Gateway to the South” this is the second largest city in all of New Zealand and largest on its South Island. Let our itinerary show you all it has to offer and plan an exciting and memorable vacation today! You’ll have a wild time at Orana Wildlife Park, New Zealand’s only open-range zoo. This large 197-acre zoo specialises in providing unique animal encounters in an open setting. With over 400 animals representing 70 different species, this zoo has something for the whole family. Come face to face with animals from around the world and New Zealand’s endangered kiwis and tuataras. Make sure to check out the animal feedings which occur 15 times a day and are accompanied by a brief discussion from a knowledgeable wildlife guide. Join a wildlife guide for a tour through native aviaries each day at 10:45 AM for a native bird feeding encounter. Orana Park also offers giraffe feedings, tiger presentations, and rhino encounters. Children will enjoy the Farmyard Encounter, where they can pet and feed a variety of animals. Soar high above the valleys in this spectacular gondola experience. The stunning views of Christchurch, the ocean, Canterbury Plains and the majestic Southern Alps make this gondola ride unforgettable. This cable car brings you to the top of Mt. Cavendish. At the summit, you can visit the Time Tunnel, a reconstruction of the history of the region, grab a bite to eat at the Red Rock Cafe, and browse the gift shop. The gondola ride takes about 10 minutes and travels at a normal speed. Make sure to bring a jacket, the ride might be windy. Experience the chill of Antarctica without leaving New Zealand. The International Antarctic Center provides an arctic adventure for the whole family. The indoor polar room, the world’s first indoor Antarctic storm, is chilled to 23 degrees fahrenheit and simulates a snowy storm every hour. Slide down an icy slope, find shelter in an ice cave and play in the snow. Warm jackets and overshoes are provided, however it is advised not to wear sandals. Watch little blue penguins waddle and swim in the Penguin Encounter viewing area, a natural-themed indoor/outdoor environment. Climb aboard the Hagglund Ride for a fun filled adventure across ice, over hills and through water in an all-terrain amphibious Antarctic vehicle. Journey to Antarctica and meet colony of Emperor Penguins in “Happy Feet” or experience a simulated cruise to Antarctica in Ice Voyage at the 4D Theater. This unique attraction is one you won’t want to miss. Interested in booking or planning a vacation to Christchurch right now? Check out some of the amazing offers currently available for airfare and hotels at Kayak, Orbitz and Priceline. See more lodging options at Hotels.com and Hilton. Get started on your next trip today!